My latest project has been a further investigation of clay collected from my home county, specifically around the villages of Ockeridge and Sinton Green in Worcestershire. The line of investigation has been facilitated by my friends in this area, who have given me access to gardens and woodland, and permission to dig some clay. I wanted to explore a different aspect of local function, moving beyond the pancheon work of the last few years. This project began after a discussion of the history of the pint glass one day in my local pub, The Plough on Deansway, Worcester. The pub is frequented by regulars, some of whom are either archaeologists, or who have a passion for this subject, and the conversation drifted to the fact that beer would have been drunk originally from, amongst other things, ceramic beakers – such as those found associated with the early Bronze Age Beaker Culture of c. 1000BC. This led to a lengthy set of experiments with the Ockeridge (and other) clays, to arrive at the most satisfactory shape, size (to hold an exact pint), glaze, distinguishing features (makers marks / throwing rings) etc. What makes a pint? It’s what is inside that counts. Ockeridge earthenware clay beaker with chun type glaze. Pint beaker with Plough green glaze. 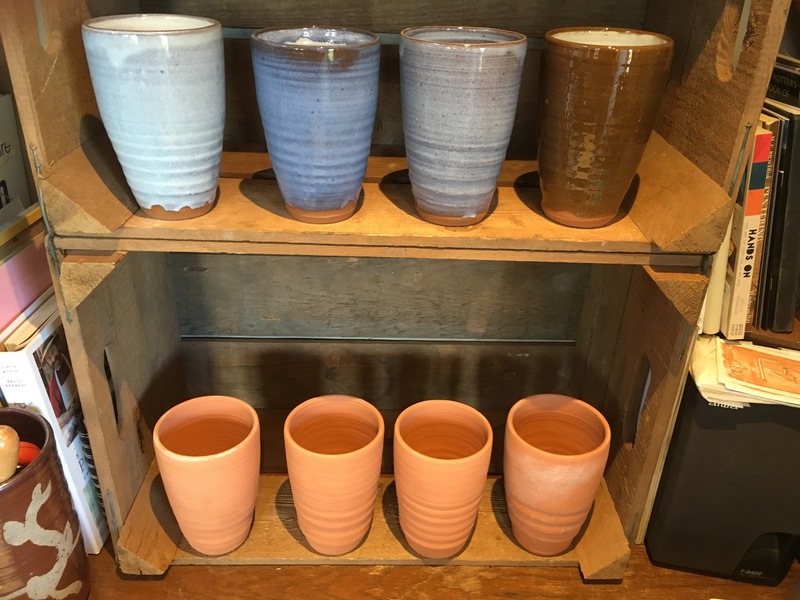 New beer beakers made from Ockeridge clay…..
New project digging clay in Ockeridge, Worcestershire…. Mick’s clay fresh from the ground. My gift to return the favour. My friend Mick has been more than generous in letting me dig some of the clay from his woodland near Ockeridge in west Worcestershire. Mick and his brother Tim manage the woodland for timber and firewood, mostly cutting single / selected trees, one at a time and avoiding clear felling. The clay runs in bands through the woodland, close to the surface, making it easy to extract. It’s a beautiful material, mostly quite fine and free of stones or grit, although the decades of organic material (leaf mould) on the surface seem to give the clay a strong smell once it has been left to sour. 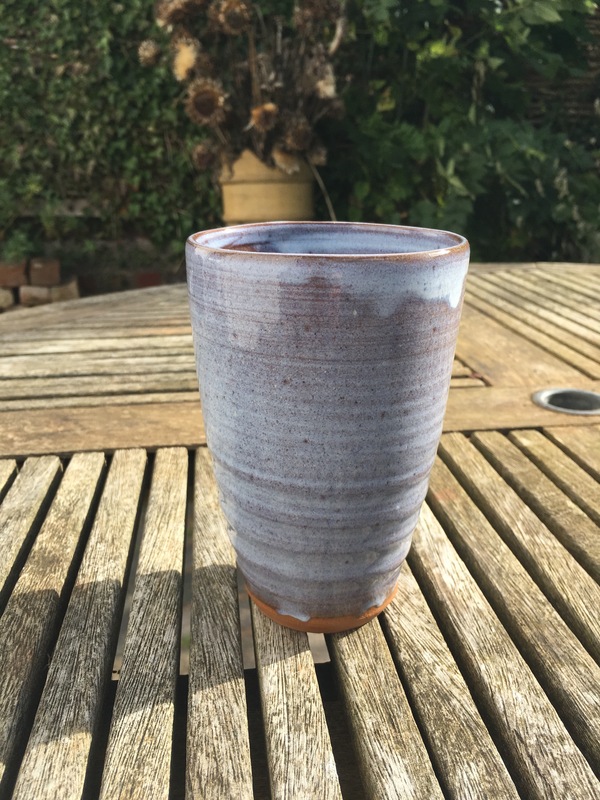 I have made Mick a pancheon from this clay, but I am connecting this new work to my making of beer beakers. More on these in posts to follow.